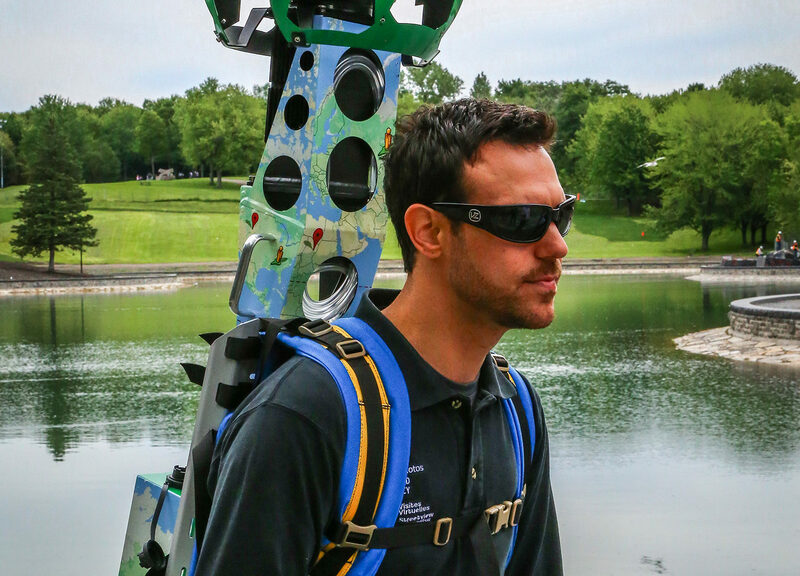 The Google “Trekker” is a 50-pound, backpack-mounted camera that captures 360-degree panoramic imagery of its wearer’s surroundings. 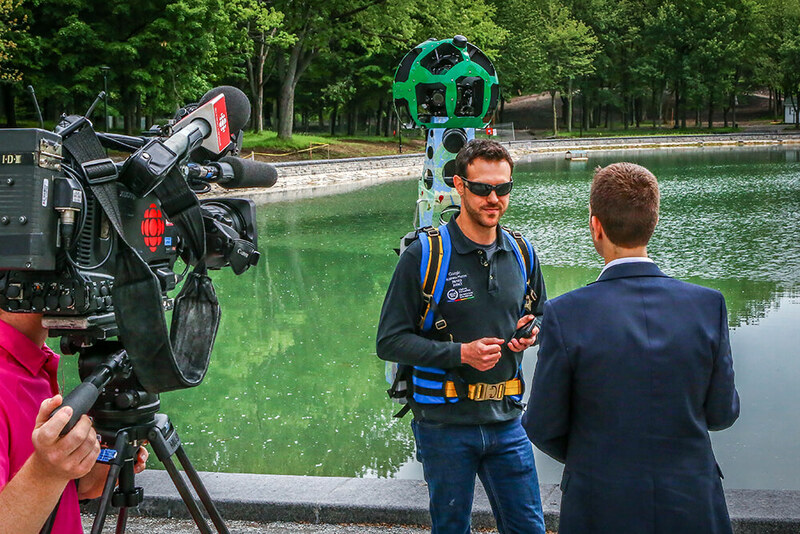 This 15-camera apparatus was introduced to help reach more remote places that are inaccessible to its Street View cars, trikes, trolleys and snowmobiles. The Trekker is brought around places only accessible by foot, and allows users anywhere to explore the world from the comfort of their own electronic device. The first destination to be captured by the Trekker was the beautiful Grand Canyon. 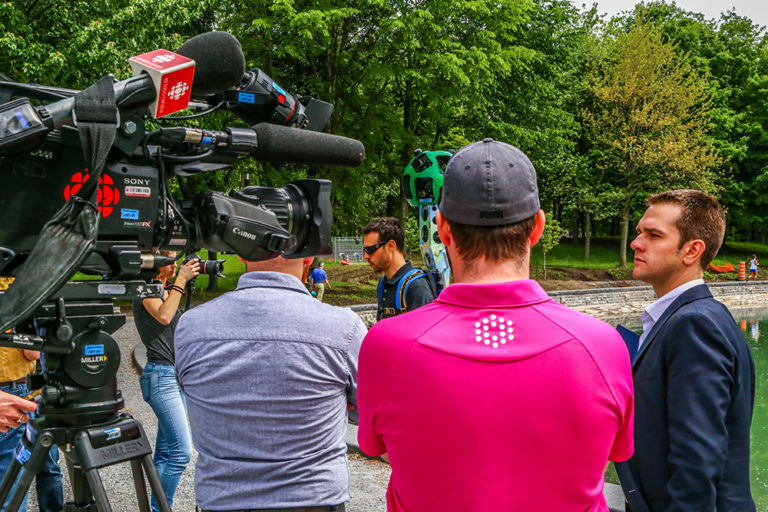 Virtuo360 had borrowed a Trekker from Google’s loan program for five weeks to help digitally capture and showcase five of Montreal’s public spaces to the world; Mount Royal Park, La Fontaine Park, La Ronde, the Old Port, and the area around the Olympic Stadium. 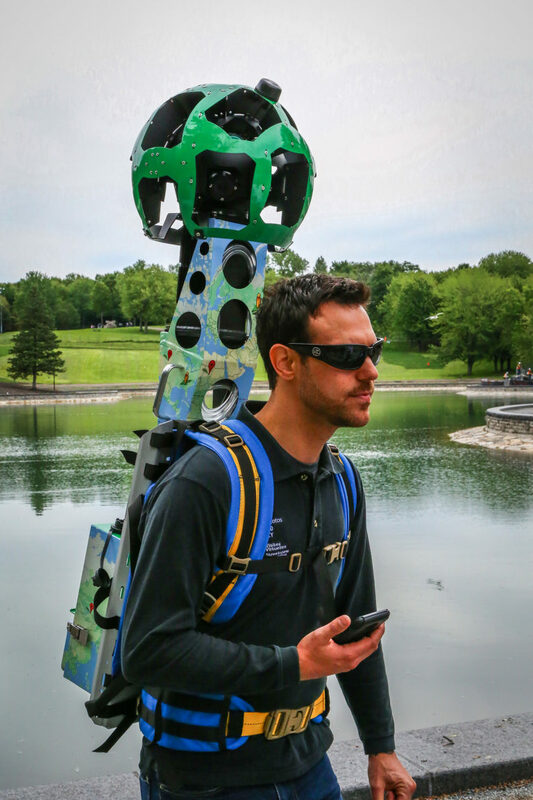 After all the imagery is captured, custom software will stitch the photos together to create a high-quality interactive 360-degree virtual tour. 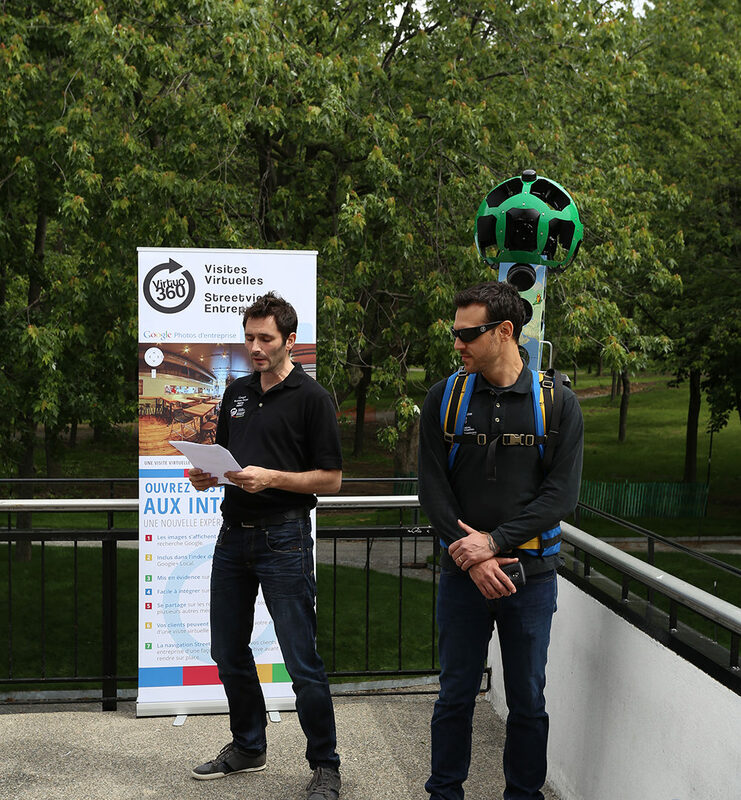 Virtual tours for these destinations would then be integrated onto Google Maps/Google Street View. 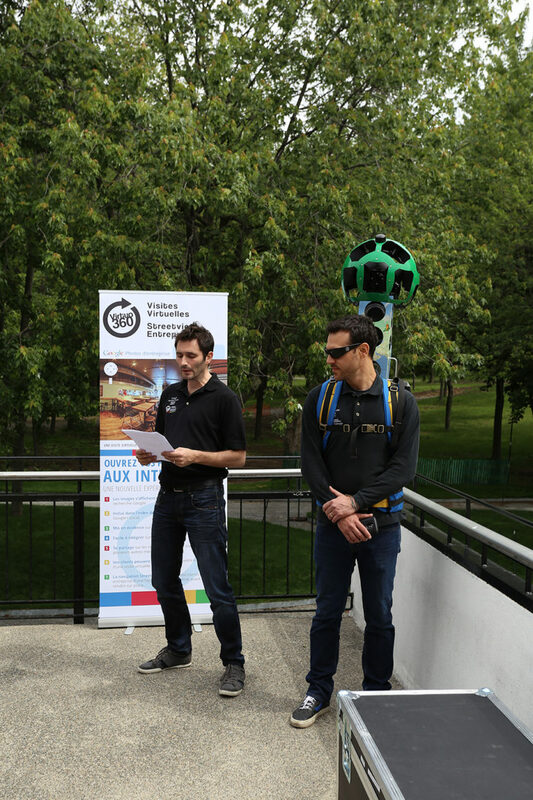 Users will have the opportunity to digitally travel the world. It is also a great way for tourists to explore an area before physically going. They will get a preview of what is to be enjoyed once they arrive.